According to proponents of the Coriolis Effect, in the Northern Hemisphere wind systems rotate counter-clockwise, and in the Southern Hemisphere wind systems will rotate clockwise. This is provided as evidence of the Coriolis Effect, and therefore, as evidence of the diurnal motion of the earth. We find, however, that the permanent wind and water systems of the earth rotate in a contradictory manner to what is alleged by the Coriolis Effect. 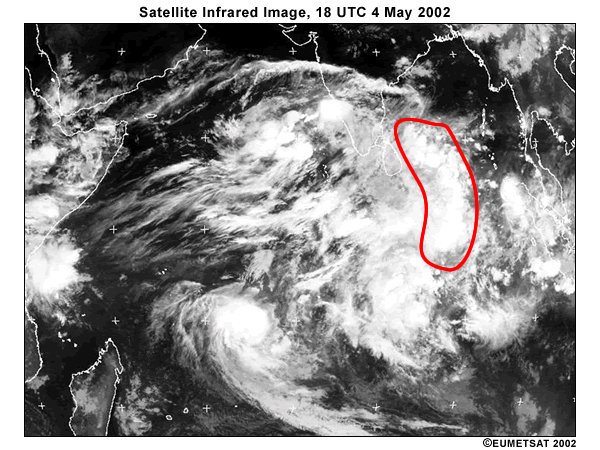 It is mainly the tropical cyclones which originate from certain patterns of wind currents near the equator that rotate with the correct direction. Dr. Anantha Aiyyer of NC State University explains that, due to the rotation of the earth, systems should rotate counter-clockwise in the Northern Hemisphere and clockwise in the Southern Hemisphere. “ Q: Why do hurricanes go counterclockwise in the northern hemisphere and clockwise in the southern hemisphere? A: You can think of a hurricane as a spinning column of air that stretches from sea-level up to about 45,000 feet. Over much of this depth, air flows counter-clockwise in the northern hemisphere and clockwise in the southern hemisphere. To understand why, let’s consider the rotation of the earth. We know that the earth spins along an invisible axis from west to east. But if we look at it differently, something interesting jumps out. Imagine you are hovering above one of the poles and are looking down at the earth. Pick the North Pole and do this thought experiment. In what sense is the earth rotating? Counterclockwise. Now fly to the South Pole and look at the earth and notice its rotation. It will help to use a spinning tennis or basketball to visualize this. It now appears to spin clockwise. 2.3.1 Where Are Hurricanes Formed? 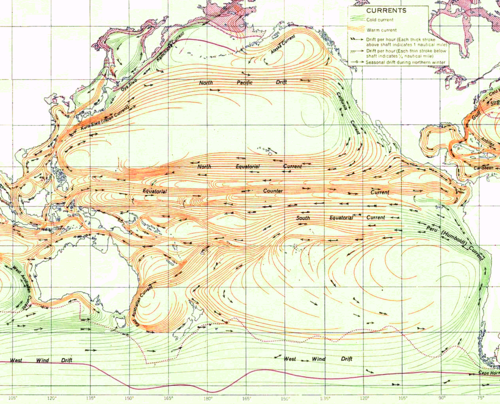 "Prevailing Winds" and "Trade Winds" are the world's large permanent wind systems which put the ocean systems into motion. 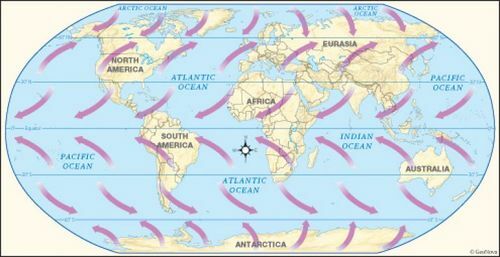 When we look at the permanent wind and ocean systems of the world, we find the counter-clockwise rule of the Northern Hemisphere and the clockwise rule of the Southern Hemisphere to be untrue. Earth's large permanent wind and ocean systems are rotating in a manner contrary to the alleged Coriolis Effect. Map from Atlas of World Maps, United States Army Service Forces, Army Specialized Training Division. Army Service Forces Manual M-101 (1943). 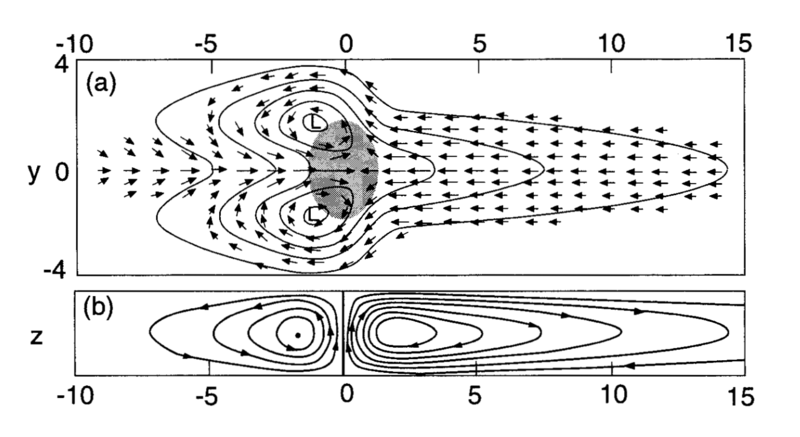 Below we find a world map which shows a generalized pattern of the wind rotation. 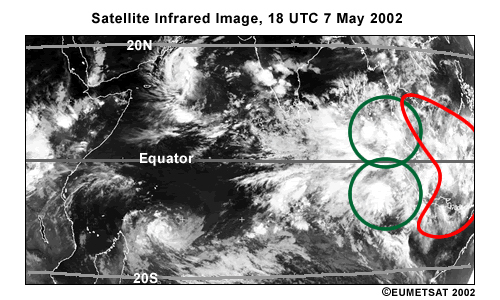 One should note that the rotations seen are clockwise in the Northern Hemisphere and counter-clockwise in the Southern Hemisphere, which is opposite from the "Coriolis Effect". 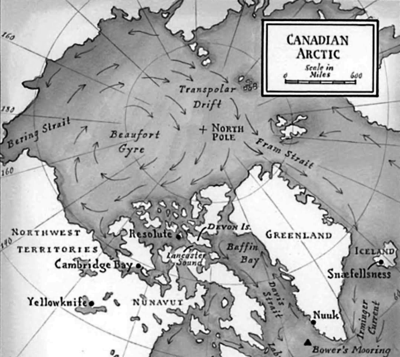 In fact, at the North Pole, where the Coriolis Effect is supposedly the greatest, we find a gyre that is traveling directly through the North Pole and rotating in a clockwise direction, opposite from the Coriolis Effect. Coriolis Effect proponents mainly point to the rotation of hurricanes and other tropical cyclones. 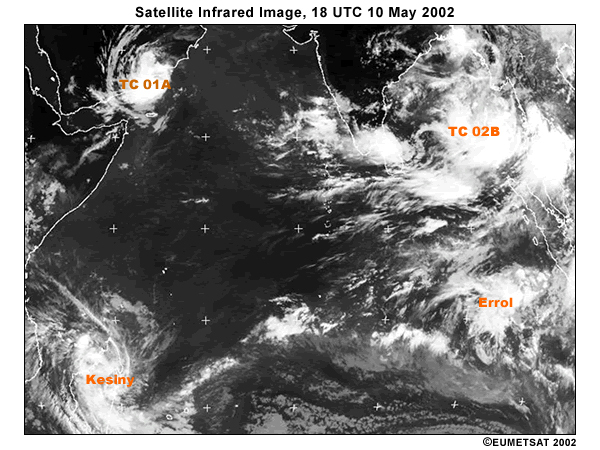 In the Northern Hemisphere tropical cyclones rotate counter-clockwise, and in the Southern Hemisphere tropical cyclones rotate clockwise, true to the Coriolis Effect. While researching this claim, we find that these rotational directions are generally true for the hurricanes and tropical cyclones. Unlike the permanent wind and water systems of the earth, however, the hurricanes and tropical cyclones are special and temporary weather systems which have an average lifespan of about 9 days. The directions of rotation of these temporary systems are entirely explainable with known and existing phenomena called Kelvin Waves which do not require the Coriolis Effect. Indeed, the National Oceanic and Atmospheric Administration (NOAA) has verified Kelvin Waves to occur during cyclone development, and now uses them in their early warning systems. 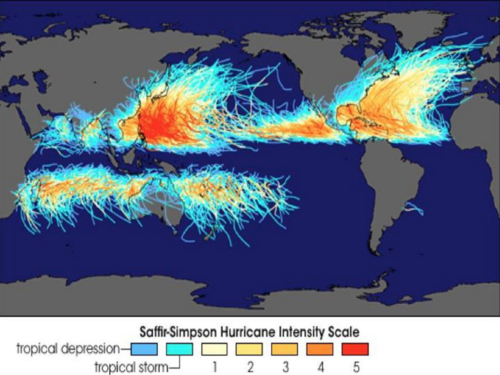 To explain why the hurricanes rotate oppositely from each other we point to the fact that the Hurricanes and other tropical cyclones develop near the equator, and that at the equator there exists a strong wind current called the Equatorial Counter Current, which is a strong permanent easterly-flowing wind current. This Counter Current runs in an opposite direction to westerly-flowing currents that are immediately North and South of it. Since the atmosphere is generally characterized as a fluid, we can imagine this as a water current which moves against the flow of the waters around it. The above videos show the creation of counter-rotating vortexes when the water is disturbed by plates or spoons. The same general phenomena seen in the fluids of water in the above videos are occurring with the fluids of the air near the equator. When comparing the direction plate and spoon across the water with the direction of vortex rotation to the direction of the Equatorial Counter Current and the directions of vortex rotation in the Northern and Southern Hemispheres, we find that the directions match up. A "Coriolis Effect" is not needed to describe the rotational direction of these systems. The oppositely rotating vortexes in the videos above are caused by the Kelvin Wave Pattern. When an object disturbs water it will leave a wake in its path, which fans out and curves in opposite directions. Along these oppositely curving patterns water rushes towards the body to fill in the gap left by the disturbance. The curves of this moving water system themselves also flow to follow the direction of the body. 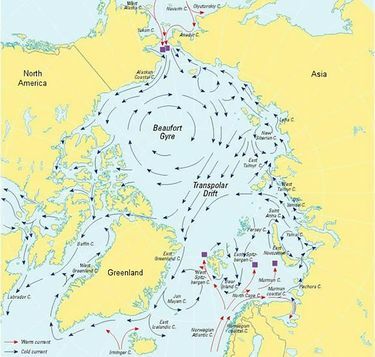 If the boat were traveling eastwards the flow of the water on the curved paths would be traveling counter-clockwise to the north of the boat and clockwise to the south of the boat, like the "Coriolis Effect". As demonstration of these curving patterns, we find a video of a model toy boat making curved wakes behind it. Note that the boat leaves behind curved paths, and that these paths follow the boat once it passes, indicating the direction of flow. According to the above, when wind currents collide over "warm pools" at the equator counter-rotating wind patterns are created. We see that in the diagram the northern system is rotating counter-clockwise while the southern system rotates clockwise, just as was depicted in the premise. The following is a study which associates curious activity in eastwardly flowing Equatorial Counter Current, also known as the North Equatorial Counter Current, with the development of hurricanes. Hence, we find that strong westerly winds at the equator, in conjunction with the warm pool event, was associated with the development of the El Niño hurricanes. In 2015 meteorologists confirmed the influence of atmospheric Kelvin Waves in the development of tropical cyclones. “ A new study by Carl Schreck III of the North Carolina Institute for Climate Studies and North Carolina State University provides important insights into the way long-lived tropical weather patterns known as Kelvin waves influence the development of tropical cyclones. The findings are already being used by NOAA’s Climate Prediction Center and National Hurricane Center in forecasting tropical storm development. Q. If the tropical cyclones are created by Kelvin Waves, then why don't we ever see twin cyclones? - At the equator exists a strong and permanent easterly-flowing current called the Equatorial Counter Current, which is bordered on the North and South by permanent westerly-flowing currents called the Northern and Southern Equatorial currents. Such a hurricane would need to defeat these currents in order to make it across. - Hurricanes are created by these topical wind currents, and are sent spiraling Northward or Southward away from the tropical regions of the equator to cause havoc towards temperate regions of the North or South. - Hurricanes have relatively short lives with an average of about 9 days. The above points make it unreasonable for a hurricane to return to the equator and cross to the other side. 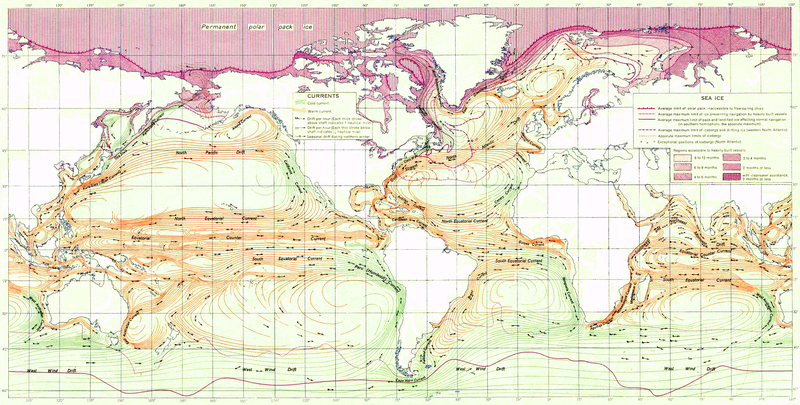 We suspect that if all of the ocean and wind patterns, systems, storms, and currents of the world were traveling in a reverse manner to which they travel, that the Copernican Coriolis Effect proponents would instead be championing the Prevailing Winds and Ocean Currents as proof of the Coriolis Effect and the rotation of the earth, while blissfully ignoring the hurricanes.